On Thursday May 8th at approximately 11:30 pm José Guadalupe Ruelas García, the director of Casa Alianza of Honduras, was brutally beaten in front of the Presidential Palace in Tegucigalpa by members of the Honduran Military Police. Mr. Ruelas was stopped at by military police near the Presidential Palace while driving a vehicle owned by Casa Alizana and was wearing a Casa Alianza shirt, when a motorcycle carrying guards assigned to the Security Minister Corrales, plowed into his parked vehicle. At that point, military and police pulled him violently from his vehicle and threw him to the ground, kicking him brutally. They then dragged him by his feet, face down, to the main gate of the Presidential Palace. His wallet, identification and cell phone were taken and the vehicle was impounded. Ruelas was detained by police throughout the night without access to medical attention for injuries sustained as a result of being beaten, kicked and dragged by members of the Honduran state security forces. At 4:30 am, May 9th, Mr. Ruelas was finally transported to the hospital from the police station. At the hospital, transit police gave declarations to the press stating that his “injuries were the result of a traffic collision”. PROAH accompanied COFADEH (Committee of the Families of the Detained and Disappeared of Honduras) to the criminal court to present a habeas corpus for Ruelas and to file a report of the beating with the Public Ministry. On the morning of May 10th, Ruelas left the hospital, where he had been held in the intensive care unit. 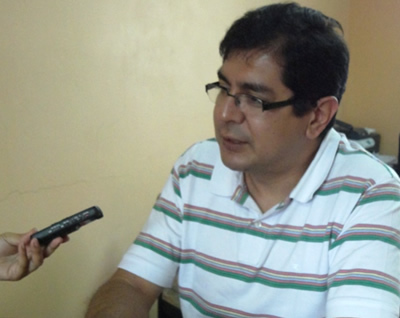 On May 12th, Casa Alianza held a press conference at which Mr. Ruelas expressed fear that the state has mounted a smear campaign against him and that he will suffer new attacks. He also demanded that the public prosecutor who also investigated the murder of the son of Julieta Castellanos, Rector of UNAH (National University of Honduras) take his case rather than the current public prosecutor who is married to an official at the Ministry of Security. Casa Alianza is a well-known humanitarian organization that advocates for homeless children in Central America and Mexico. The latest monthly report by Casa Alianza’s Honduras office, which Mr. Ruelas presented on April 23, noted that in the first three months of the new Honduran government’s tenure, 270 children and young people under 23 in the country suffered violent deaths. Mr. Ruelas, an outspoken advocate for children at risk, recently stated to the media that increasingly these killings were extrajudicial executions committed by agents of the state which the government of Juan Orlando Hernandez had the capacity to stop. His statements provoked a political backlash, with the President, for example, claiming that the allegations are a smear invented by LIBRE sympathizers. National and International human rights organizations have issued Action Alerts on behalf of Ruelas.